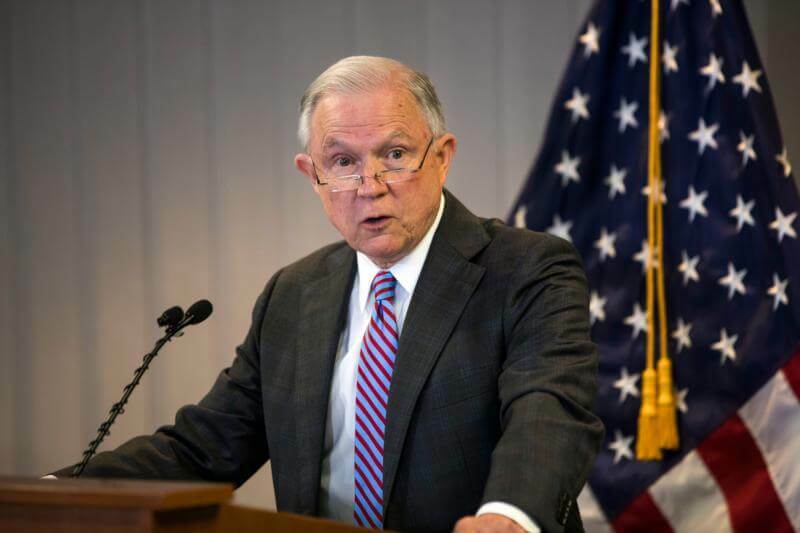 FORT LAUDERDALE, Fla. — The U.S. bishops June 13 decried U.S. Attorney General Jeff Sessions’ decision that asylum seekers fleeing domestic or gang violence cannot find protection in the United States. The statement from the bishops came on the first day of their June 13-14 spring assembly in Fort Lauderdale. Just after opening prayers, Cardinal Daniel N. DiNardo of Galveston-Houston, president of the U.S. Conference of Catholic Bishops, read the statement from the dais, and the bishops voiced their support. “Our government has the discretion in our laws to ensure that young children are not separated from their parents and exposed to irreparable harm and trauma,” the cardinal said. “Families are the foundational element of our society and they must be able to stay together. Cardinal Joseph W. Tobin of Newark, New Jersey, said the new policy “is consistent with cardiosclerosis” or a hardening of the American heart. He called for a widespread discussion among bishops on how to more vocally respond to the practice. Other bishops called for stronger outreach to members of Congress as it struggles to address comprehensive immigration reform and extending the Deferred Action for Childhood Arrivals program covering 800,000 young adults who were brought to the U.S. as children. Several bishops said it was imperative to do a better job of sharing church teaching on migration and welcoming the stranger, as Christ taught. He urged the entire body of bishops to become more active in pushing Congress and the courts to understand long-standing American values and practices regarding the welcoming of immigrants. “It just seems nefarious how the immigration system is being undone by more and more restrictive regulations that are being put in place,” he said. One bishop asked about the possibility of “canonical penalties” being enforced on Catholics who cooperate with unjust immigration policies. Bishop Edwin J. Weisenburger of Tucson, Arizona, said such penalties are put in place to heal and “therefore, for the salvation of these people’s souls, maybe it’s time for us to look” at such action. During the morning session, the U.S. bishops also heard a report from Archbishop Christophe Pierre, the Vatican nuncio to the United States. He talked about the need of church leaders to not just hear young people but to really listen to them, emphasizing that this is what Pope Francis often talks about it. Regional encuentros are taking place all over the country. There delegates outline priorities that will shape Hispanic ministry for years to come. The regionals lead to the National Fifth Encuentro, or V Encuentro, to be held in Texas in September. Archbishop Pierre also talked about the church’s upcoming Synod of Bishops on young people. Other reports covered the V Encuentro and the Synod of Bishops on Young People, the Faith and Vocational Discernment, which will take place at the Vatican in October. — Revised guidelines governing Catholic and non-Catholic health care partnerships the audits. The revisions are limited to Part 6 of the “Ethical and Religious Directives for Catholic Health Care Services,” the document that governs moral questions related to the delivery of health care. — A new document described as a “pastoral response” to the growing Asian and Pacific Island Catholic community in the United States. “Encountering Christ in Harmony” offers pastoral suggestions to address the concerns and needs of Asian and Pacific Island Catholics. — Revisions in language to clarify seven of the 17 articles in the “Charter for the Protection of Children and Young Adults.” The changes offer more specific language in several areas. Article 4 has been revised to protect the seal of the sacrament of reconciliation. Changes in Articles 6 and 12 specifically state that all people who have contact with minors rather than those in positions of trust “will abide by standard of behavior and appropriate boundaries.” In all, seven changes have been proposed for a vote by the bishops.